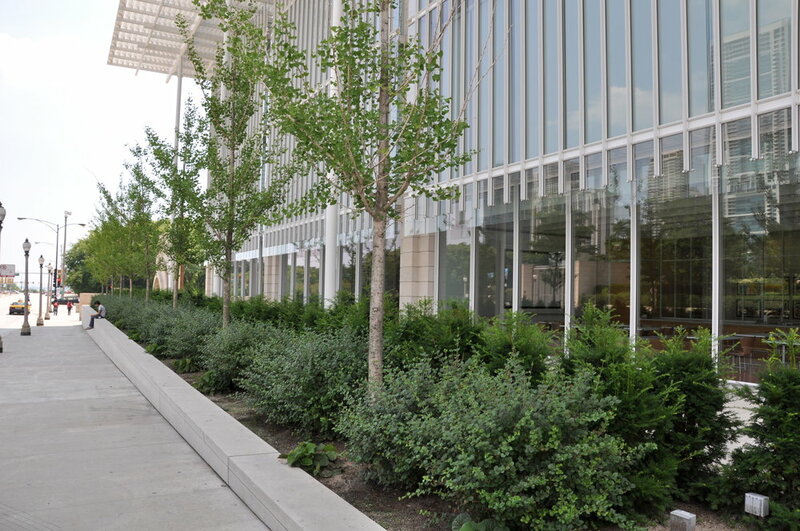 Christy Webber Landscapes worked on the install and construction for the Art Institute of Chicago’s beautiful Modern Wing. The goal was to create a natural flow from the north to the south, while working within weight restrictions due to the vaulted subsurface. Great effort was taken through the process to protect and preserve the maples along the edge of the project boundary, which provide greenery and shade. In addition, this project featured some of our very first engineered, vermiculture soil.